I’m in a holding pattern right now, waiting to see if Mike will need neck surgery. He is still in terrible pain 24/7. The house we are having built is moving along now, with new charcoal gray tile being installed throughout to absorb the sun’s heat in the winter. I am waiting, waiting to see how things turn out. In the meantime I have been taking my morning walks around Walsenburg, thinking about its history and the families who have lived here forever. After one year of living in this small town 50 miles north of the New Mexico border, I have a much better sense of who lives here. The City of Walsenburg traces its history back about 150 years when it was first established as La Plaza de los Leones, named after the Leon family on the north side of the Cuchara River. In 1870, Fred Walsen settled nearby and opened up a large mercantile, making the town a place that attracted German settlers. 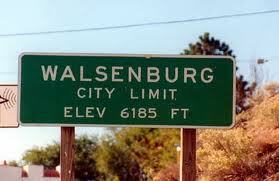 After Walsen assisted in the incorporation of the town, he was honored by formally naming the new town “Walsenburg”. 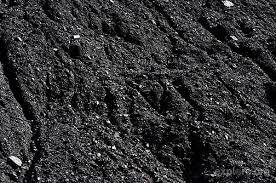 In 1876, Walsen opened the area’s first coal mine, and coal was king here for nearly a century. Called the “city built on coal,” an estimated 500 million tons of coal were mined here, bringing the total county population to its peak of over 17,000 in the 1930s. But as our country began to switch to other forms of energy, Walsenburg’s population fell precipitously to the present number of around 3,000 people. Many of the families here have a long history of calling this place home. Many of the homes here were built in the the early 1900s. The rental we presently live in is well over 100 years old, the oldest abode I have ever lived in. On my walks I see a town that has certainly seen better days, but there is still much pride in ownership here. This town and county needs more gainful employment, and I hope that will be arriving soon! ← Is this what’s really happening to us now? Hope you get good news on the neck – that must be awful. You are going through a lot of transitions at once. Hang on – it will all come together! Thanks for your good wished Donna… Hang on it all changes! Hope Mike gets good news and the doctors can alleviate his pain without surgery. Thanks for reading and commenting Jan! I lived in Boulder for a couple decades in my 20s and 30s, then I moved up north to Fort Collins and Loveland until that became too crowded for our taste. Living down south here is quite different, but I am slowly adjusting to small town amenities, etc.